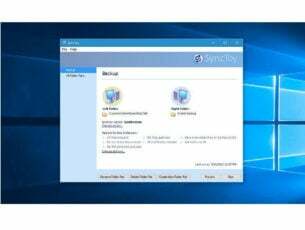 A while back we have written an informative post on some of the best board games for Windows 8 to check out and today we have something that fits in that category and is worth check out. Take a look at Talisman Prologue. 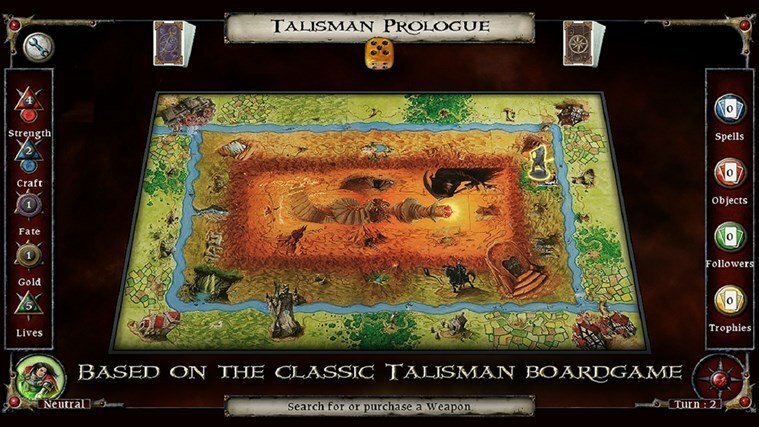 The original Talisman board game was released back in 1983 and in the digital era, it has been made available on computers and mobile devices, as well. 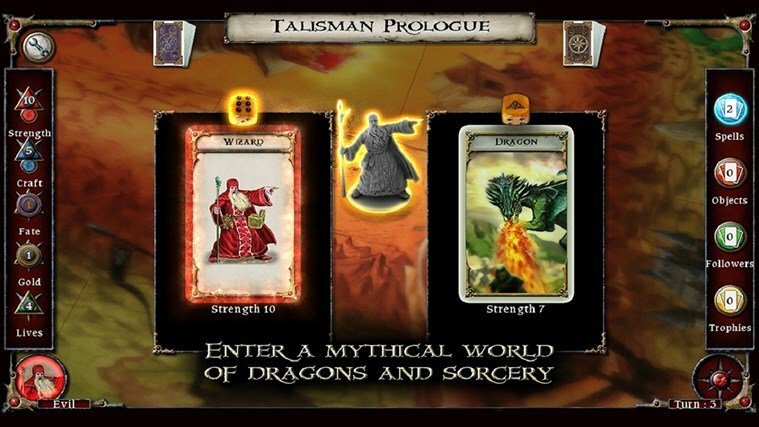 Now, we have good news for Windows 8 and Windows Phone 8 owners, as Talisman Prologue has been made available for them. 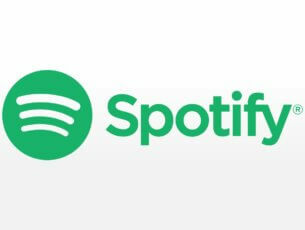 And by the looks of it, it is a successful port of the popular board game. Talisman is a game in which you take on the role of a heroic adventurer, building up your strength, wisdom, and wealth in a quest for glory. 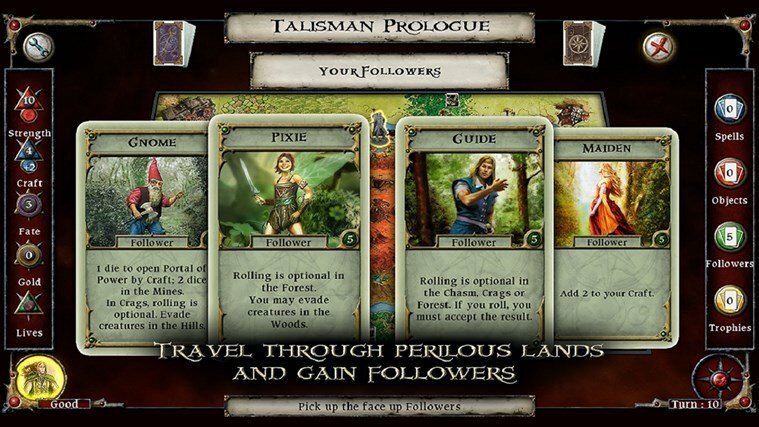 Talisman Prologue brings all the fun of the classic board game and more to the digital realm. Talisman Prologue is the first release in this exciting adaptation of the classic board game. The legend begins with a single-player series of adventures designed to invite both veterans and newcomers to explore the land of Talisman. The story unfolds as the player rolls dice to move around the outer, middle, and inner regions of the board. Each space will require the player to draw a card or resolve a special effect, leading your hero to encounter monsters, discover friendly followers, and gather treasure. While Talisman Prologue uses the rules of the board game, there are some differences in the gameplay. The biggest new addition to the game is the introduction of quests. In the classic board game of Talisman, the goal is to reach the Crown of Command and claim it. In order to provide a varied, rich, and story-focused experience each time you play Talisman Prologue, you play one of fifty unique quests for each of its ten characters. The quests have goals that the player must complete in order to lead his hero to victory. You may be tasked with saving a damsel in distress, recovering a powerful artifact of legend, or fending off an immense horde of monsters! In Talisman Prologue, you never have to wait your turn, but the turns still count for something. Finishing quests in as few turns as possible earns players between one and three Talisman tokens that rate your success. Learn the spaces on the board, get familiar with your weapons and followers, and make the most efficient use of your turns to get all three Talismans! So, if you’re a fan of board games, then you definitely need to go ahead and download Talisman Prologue from the Windows Store, especially that there’s a free trial available before and if you decide to make the jump to the paid version.